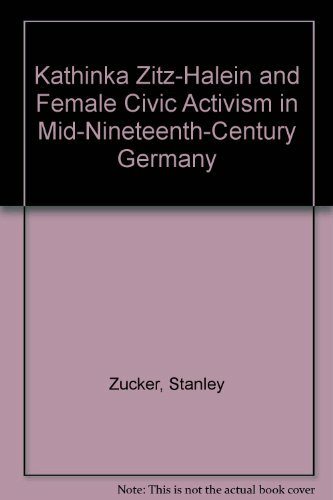 In this first in-depth study of Kathinka Zitz-Halein, Stanley Zucker convincingly argues that no other woman was more involved in the political and social events of this period of German history. Aided by papers accumulated over Zitz-Halein’s fifty-year publishing career, including her unpublished memoirs and diary, Zucker traces the liberal democratic viewpoint in Zitz-Halein’s life and work. Through careful documentation of her life as a writer, her participation in the Revolution of 1848, and the reasons behind her struggle to remain the legal wife of Franz Zitz, Zucker offers new perspectives on women’s activities and their history in nineteenth-century Germany.